HALIFAX, NS & CHARLOTTETOWN, PE & FREDERICTON, NB – The second annual edition of a advent calendar style mixed pack of beers and ciders exclusively from the Maritimes is now available in the region. 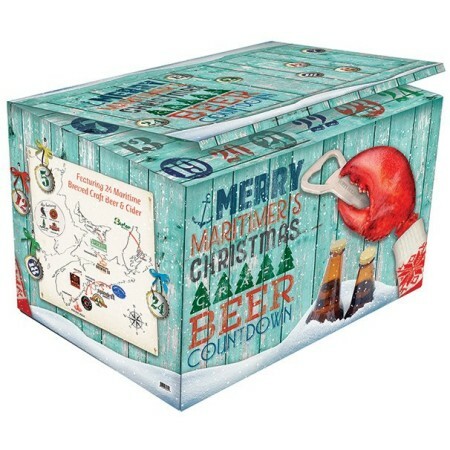 The Merry Maritimer’s Christmas Craft Beer Countdown features 24 products from 14 breweries and cider makers including 2 Crows, Big Spruce, Boxing Rock, Breton, Bulwark, Garrison, Nine Locks, Picaroons, Propeller, Pump House, Spindrift, Tatamagouche, Upstreet, and Wayfarers. The limited edition package is available at private liquor stores Harvest Wine & Spirits and WestSide in Halifax for $124.99, and select PEI Liquor locations in PEI for $139.99. It will also be available later this month at select ANBL stores in New Brunswick for $149.99.